A few comments from Jay Schelski. . .
My ordering process was smooth and they were very pleasant to talk to. OUTSTANDING in customer concern and service. Very nice quality product and packaging. I’m an engineer by schooling and I was impressed with the manufacturing of the louvers. Stamped out of sheet aluminum the fabricating was flawless including the black powder coating (they also come white powder coated or unfinished for painting). They included more than enough of the stainless steel rivets used for installation AND the drill bit you’ll need for the rivets. Even the packaging was impressive. Jay masks off where he will mount his hood and his Side Louvers on his Chevy Avalanche, per the Instructions, included. 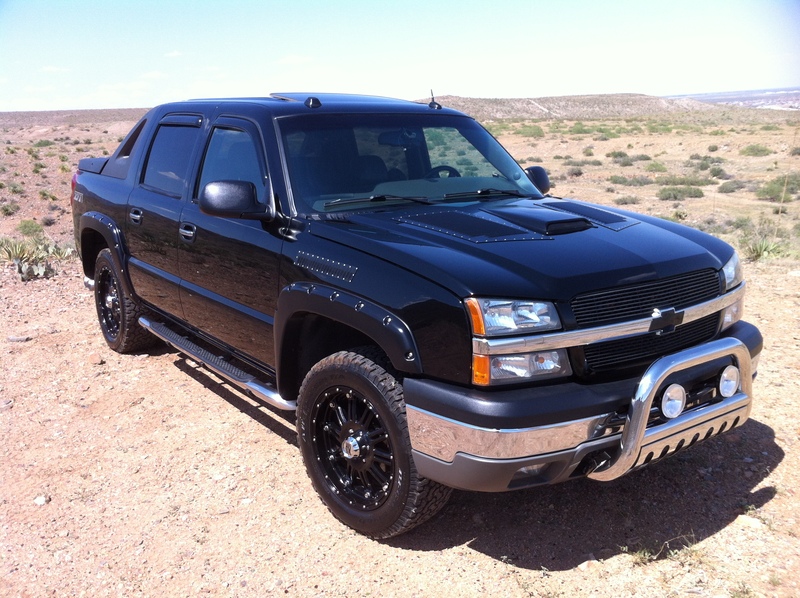 With his Size XL RunCool Hood Louvers and Side Louvers (on fenders), Jay Schelski runs cool in his Chevy Avalanche, even when off-roading in the desert! 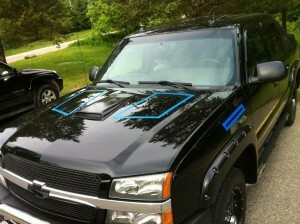 Yes, these are Deserr Proven™ Hood Louvers!